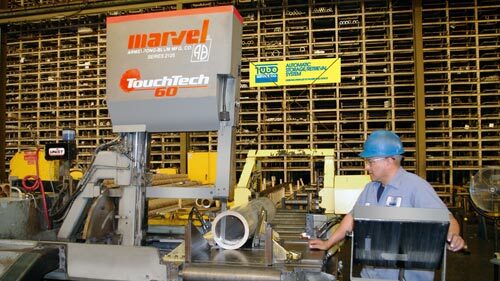 We have invested in the next generation of fully automated tube laser processing centers capable of cutting tubular shapes up to 10 inches in diameter. Please click on our logo below to see the laser in action. 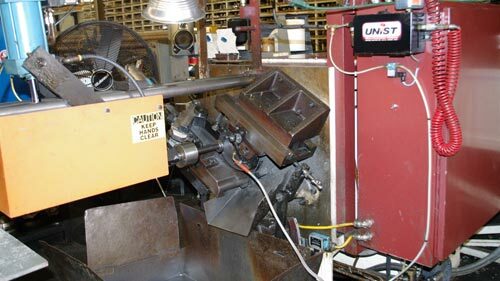 These tube laser processing centers also provide your engineering / design staff greater flexibility with their part design options. 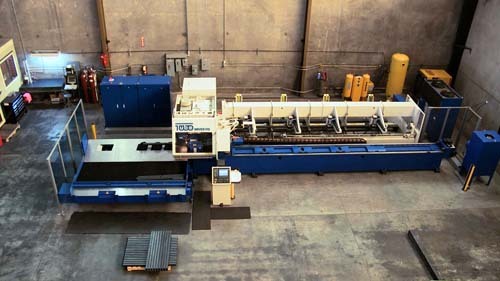 Our machines will simplify your production processes, achieve higher quality standards and reduce many of your handling steps. 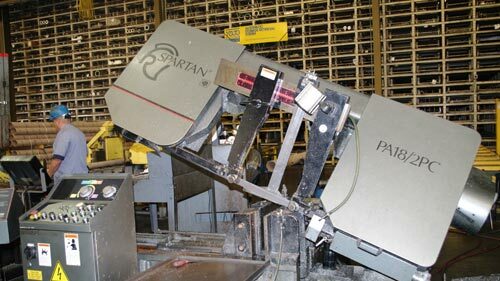 Please click on our logo below to see the laser in action. 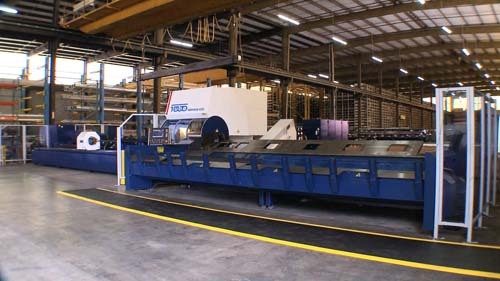 The tubing is stored on 135-ft-long by 32-ft-high steel racks, which can hold up to 12 million pounds in 4000 different sizes in lengths up to 25 feet - all waiting for a computer-actuated retrieval command. 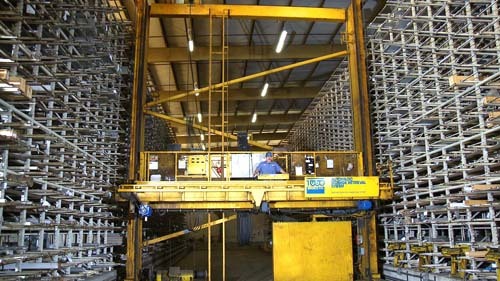 The computerized handling system, first of its kind in the U. S., reduces the time of conventional storage and retrieval by more than 50 percent.